EAST LIVERPOOL — For several hours Friday, Dr. Jeffrey Caldwell hosted the annual Give Kids A Smile Day at his office in downtown East Liverpool. Through the American Dental Association’s program, which launched nationally in 2003, more than 5.5 million children have received free oral health services from dental professionals. In the previous 16 years, according to a press release issued by Caldwell’s office, more than $14 million of dental care services have been provided to more than 250,000 Ohio children. This provides free exams and treatment to children who may not receive care, according to Dr. Caldwell. Children also get acquainted with seeing the dentist in the dental office setting and have a fun experience. Other treatments offered included sealants, teeth polishing, fluoride treatments and dental hygiene instruction. According to Dr. Caldwell, the event usually draws between 25 and 50 children. “We want it to be a great experience for them, so they understand that taking care of their teeth is a lifelong process. Kids with poor oral health are almost three times as likely to miss school as a result of dental pain,” he explained. This was the first year for Southern Local School District, which sent a group of seven children to the event. 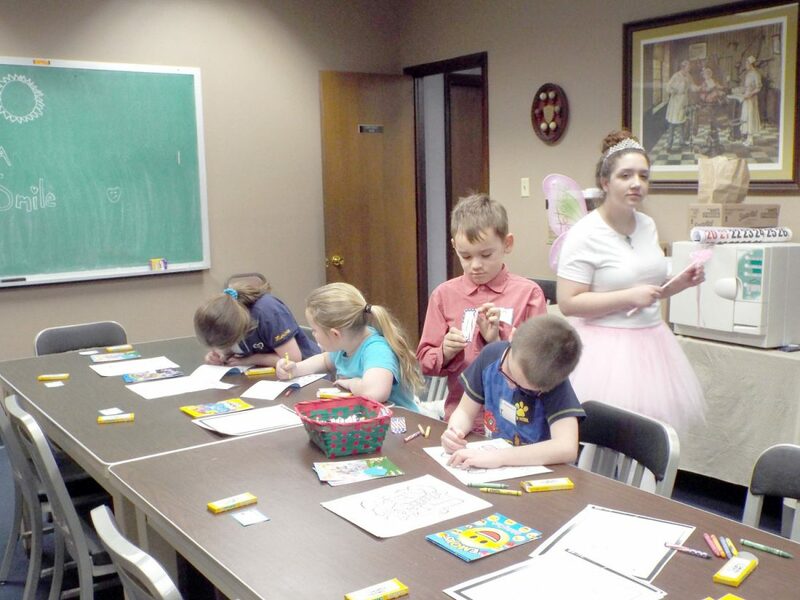 While they waited for their turn in the chair, they sat in a conference room and colored while accompanied with a volunteer dressed as the Tooth Fairy for the festivities and their adult guardian. East Liverpool usually sends a sizeable group to partake in the opportunity for dental care, but Friday was a day off from school, Dr. Caldwell explained that his office just learned late. In addition to Dr. Caldwell, other area dentists volunteered include Dr. Sangeetha Sethi, Dr. Lee Rice and Dr. Mary Beth Shafer., while many staff members and dental assistant students from Ohio Valley College of Technology also participated. Dr. Sethi and her dental assistant Kayla Brahler’s first client of the day was Addison McCaulley, 6, who was having her first dental visit ever. “I wanted to give back to the kids in my community,” Dr. Sethi said as she tallied up her statistics for the ADA program. In the other exam rooms, Cherity Springer, who is a Caldwell practice dental hygienist, applied sealant to the teeth of Derrick Harris, 9, and Dawn Wooten watched as her niece received a similar treatment and got a clean bill of health. Wooten, a dental assistant who has previously volunteered at this event, was on hand Friday as family member to one of the clients, as she brought her niece to get a closer look. She recounted how the youngster was nervous upon learning about the impromptu excursion, but Wooten thinks the event is a valuable asset to the community. “This is definitely a good thing. It helps a lot of kids who wouldn’t otherwise receive dental care, because they lack insurance,” she explained. After getting their teeth inspected and polished, girls received a final polish to their nails, while boys received temporary tattoos to finish up their experience. 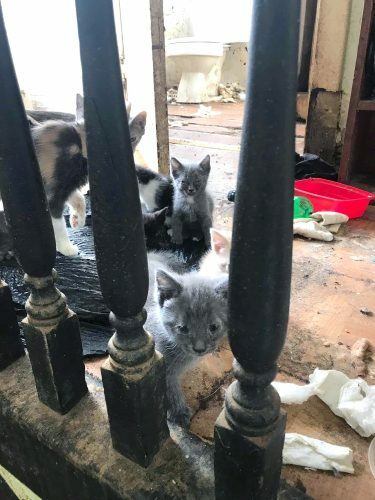 The group also advised that a baby’s first visit be at age 1 and suggested that parents never put a baby to bed with a bottle unless it contains plain water. Dental staff also remembered to brush at least twice a day and floss daily.